From a corner of their basement in Morell, PE John and Lynn Dunphy set their sights on the world. The pair co-founded Target Tours in 2009 by offering bus tours to destinations such as New York City and NASCAR races. Much has changed since their start in their home office. The company now has an office in Stratford, PE and has over 26 team members that include office staff and guide staff who are located all over the Maritimes. The company now offers group fly tours to destinations in Europe, the United Kingdom, and beyond in addition to their traditional motor coach tours in North America. Apart from Target Tours’ growth in destinations, it has also expanded through acquisition and through the development of an additional brand, Target Tours Atlantic. 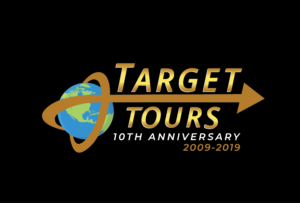 Target Tours Atlantic welcomes groups and individual travelers to Atlantic Canada by providing tour services in all four provinces.